Back in April, Linda Johnson, Wolff’s Garden Center Manager, told me that even before she began working at Wolff’s, she came here to pick out her herbs. “You could have a field day going through here and thinking about your herb garden,” says Johnson. A few weeks ago, we asked YOU what you planted after you came to Wolff’s Apple House and had a field day thinking about your garden. Thanks so much for sharing your pictures and experiences with us! 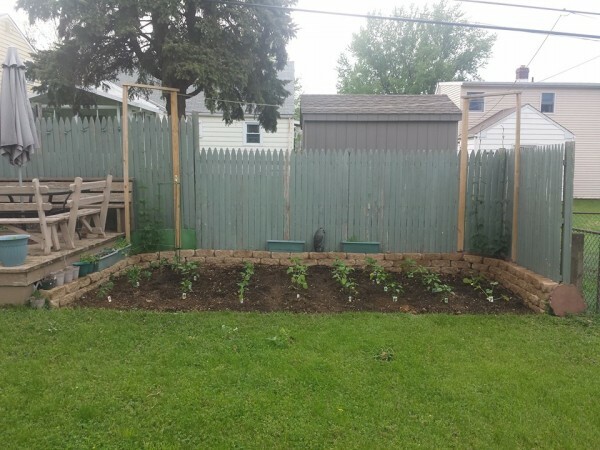 Jennifer Seifert, whose beautiful raised bed garden is pictured above, says that her interest in growing plants and gardening has expanded over the past two years. Gardening provides relief from anxiety for Seifert. “Just to watch what you have planted and nurtured grow into something amazing makes you feel great,” she says. Neal Shannon’s vibrant deck-view garden features tomatoes, cucumbers, green and yellow zucchini, lots of string beans, hot and sweet pepper varieties and eggplant…all from Wolff’s! Shannon has also planted Cascade and Fuggle hops for his home-brewed beer. “I also make a jalapeño cream ale every fall with the peppers from the garden,” says Shannon. Cheers, Neal! 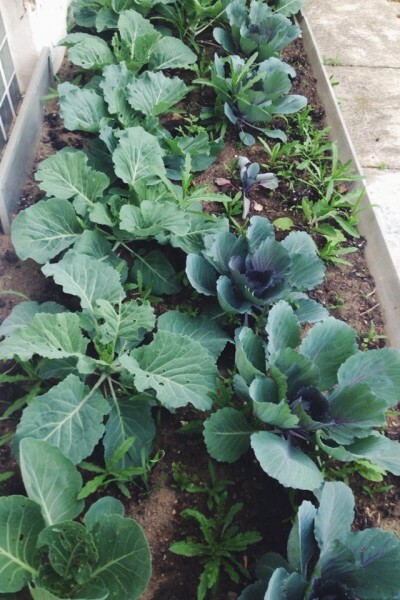 Amy Bullock Loving shared her impressive cabbage patch with us. She says it is “chock full of Wolff’s veg” ready for sauerkraut! 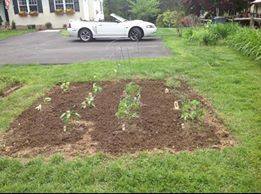 Eric Johnson, husband of Linda Johnson, planted Rutgers and Ramapo tomatoes, bell and long hot peppers, zucchini, eggplant, rosemary, oregano and a variety of basil. “The ‘Rutgers’ and the bell peppers have some flowers already!” says Johnson, adding that Linda has since added marigolds to the veggie garden. “Maybe they will keep the rabbits away–although the foxes already do a pretty good job with that!” Ahh, nature. We’re so glad to spend some time in the garden with you this week! 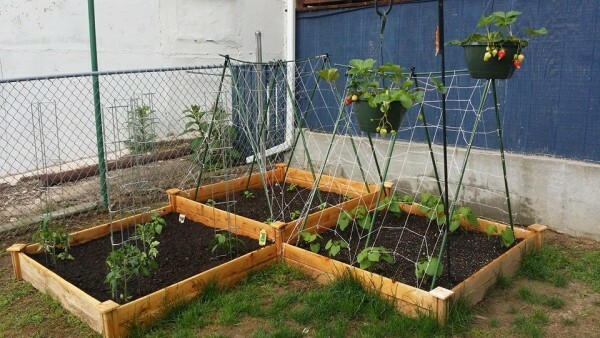 Happy gardening, and feel free to stop by and talk to us. We’d love to know more about your gardens, help you plan your dream garden or just point the way to your favorite plants! Article written by Rebecca Talbot and coordinated by VanDuzer Design & Marketing for Wolff’s Apple House and may also be syndicated on Fig: West Chester and Rachel’s Farm Table.